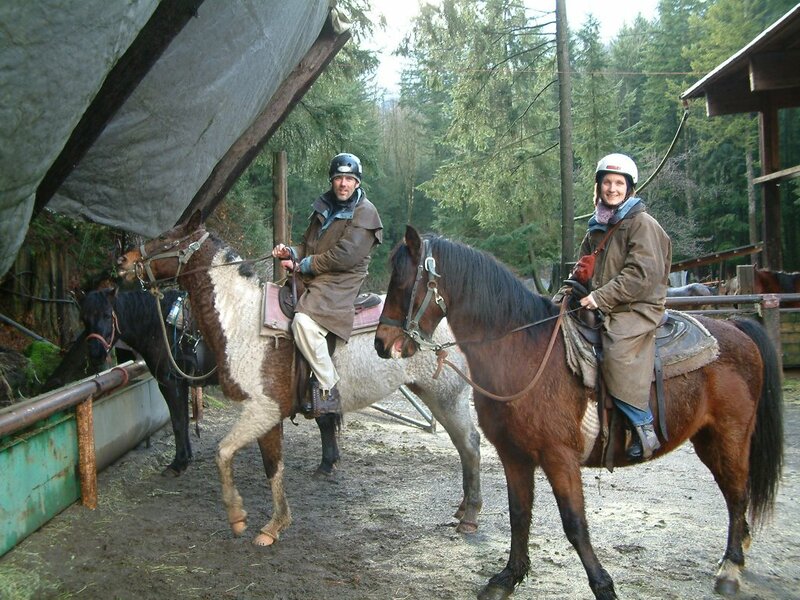 Just back from a couple of nights away in Vancouver. Yesterday we went skiing up on Grouse Mountain - it's the mountain that overlooks the city apparently (I say apparently....!). The weather was truly horrible. It was raining at sea level and after an 8 minute skyride and up 3700ft it was snowing hard and fast! Most of the time we couldn't see more than 10 feet in front of us - we certainly never saw the chair lift in front of us on any of our rides! It was pretty funny stuff. The snow was great and the slopes were really empty. Conditions improved a little when they turned the floodlights on - seemed to penetrate the snow a bit so you could see maybe 20 feet rather than 10 feet!! The 'resort' is just a 20 minute transit bus away from the city and is so convinient - we hop on the bus right outside our campsite (a.k.a Walmart!). We got a battering - I certainly don't need to exfoliate this week! Finished off the night in a 'Sammy Peppers' - lots of spicy food (the most awesome chilli cheese loaded chips!) and great cocktails before staggering home! Chris stripped down the rear brakes today - at least what was left of them - Let's just say we need some new ones - sharpish! I spent today scrapbooking (PMS day - pizza, massage and the scrapbooking!) Very nice too and got lots of pages done and met some lovely people! Chris slaved away in the library working on his course. This evening we went to Heritage Park in Chilliwack for the west coast Arena Cross league. (Indoor dirt-biking for the uninitiated!) Was good - very, very noisy and full of fumes. Lasted over 3 hours - dozens of races inlcuding proper diddy people on bikes (scary!) Funny watching them go round - their race directly followed the open class riders so the difference in speed and finesse was quite chuckle-able! Got back from Vancouver today. 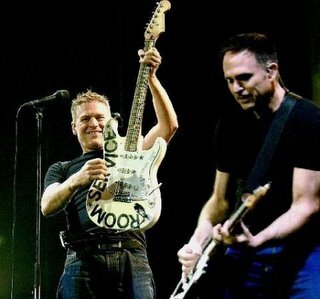 Saw Bryan Adams in concert last night - it was an awesome concert. All the old favourites were played (to riotous applause and cheering!). He did 2 encores - the first he came back with the band and they did another 4 songs, then the 2nd time he came back alone and played a set of half a dozen acoustic tracks. The concert was held in the GM Place (home of the Vancouver Canucks Ice hockey team) - quite a small 'intimate' venue - his home town so the atmosphere was pretty special. It was a long old concert (value for money - eh?!). Got out just gone 11 and wandered off down Robson Street looking for somehwere to eat. Many places were closed or had stopped serving food. Towards the north end is where all the Korean places were - found a nice looking place (in fact we saw it on our previous visit to the city but the place was jammed packed then). There were still quite a few custoemrs even though it was so late. Had some great Korean food - as a first! Really nice although V spicy! Got a late bus back to North Vancouver where we were parked up in the trusty old Walmart carpark for our overnight stay! Went on a trail ride on horseback. Lets just say we're not naturals at this and Chris appreared to be sat on the back of the Devil's spawn - innocently disguised as 'Curly Sue' - Hah! Did see some eagles on the trip and had a nice couple of hours trailing along the river in Squamish. For once had some really beautiful weather which truly made all the difference.